Bring the magic of the gardens of the quaint French city of Avallon, Bourgogne, to your home. 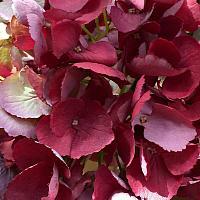 Our Merlot Wine Hydrangea Arrangement is full of joie de vivre. 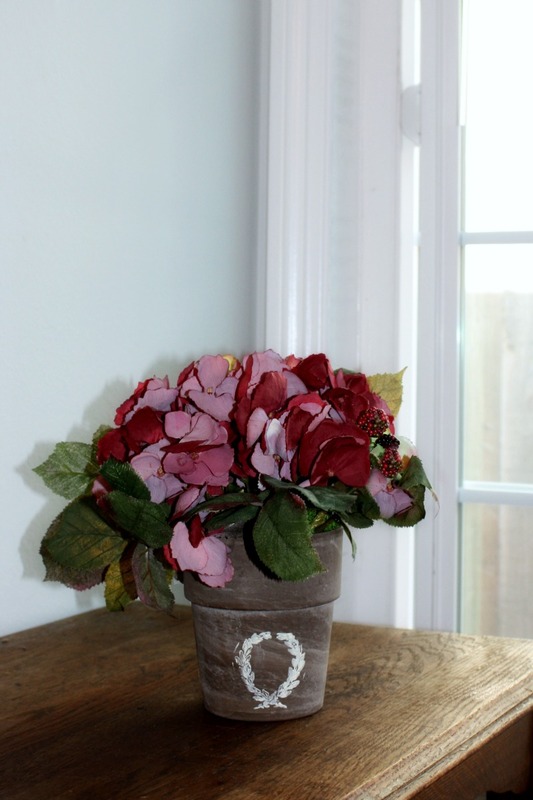 The attention to every tiny detail makes this hand designed arrangement of incredibly realistic faux flowers the perfect present to brighten the home of someone you love. 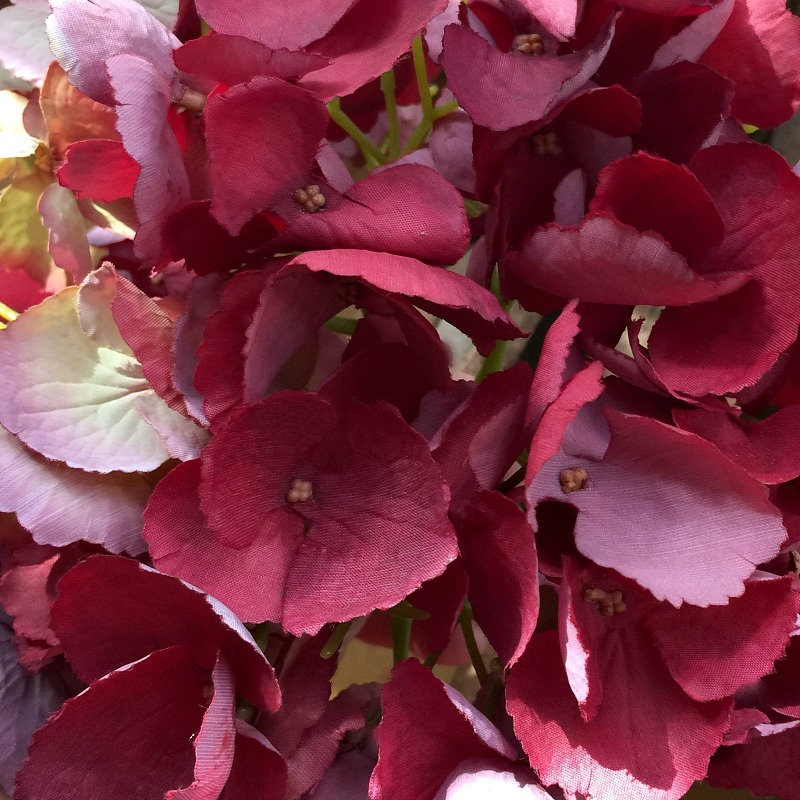 The soft petals of the enchanting deep wine colored Hydrangea stand out amidst the red blackberries, the hydrangea even feels like the real thing! One side of the petals is dark, the other a lighter pink, like they are in nature. 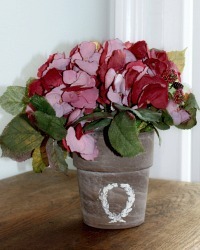 Planted in our hand painted brown terra cotta pot with a laurel wreath on the front. Perfect for a decorative accent on a side table, a shelf, or anywhere you want to display your love for fall and impeccable style! I have not captured how beautiful this hydrangea is, trust me, it's a stunner. Measure about 10-1/2" x 9-1/2".